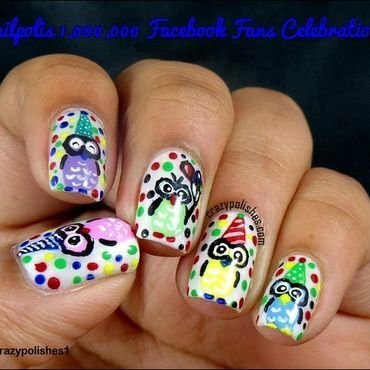 Here is my manicure for Nailpolis 1,000,000 Facebook Fan Contest. I love owl designs and for the occasion i created this hand painted party owls. 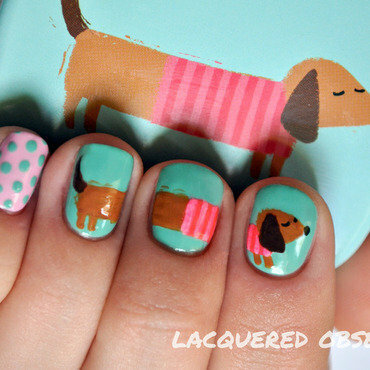 I used couple of polishes and acrylic paint for this design. About 2 years ago, I met this kitty. I named her chilly and did my very first nail art inspired by her. 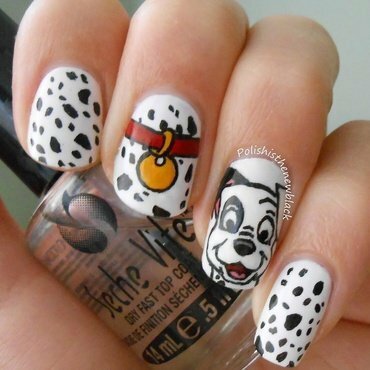 I was so happy with the outcome and that's how I entered into the world of nail art. 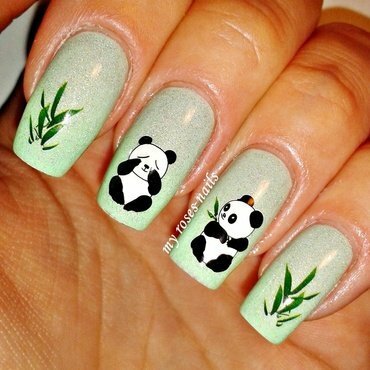 If i hadn't met her, I would have never been able to explore myself and be a nail artist.! Can't thank her enough for being there for me in all circumstances.! Love you Chilly.! 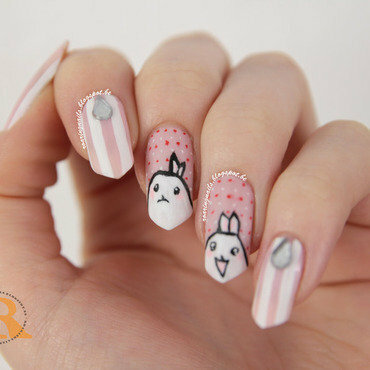 :) This nail art was done using toothpick. I love kitties! 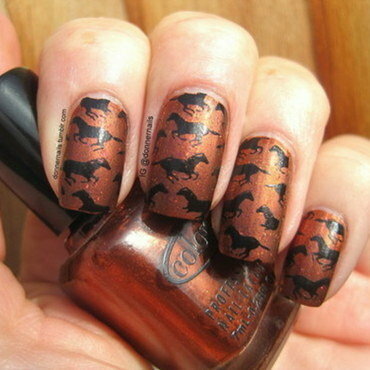 These nail decals came from Borne Pretty Store. 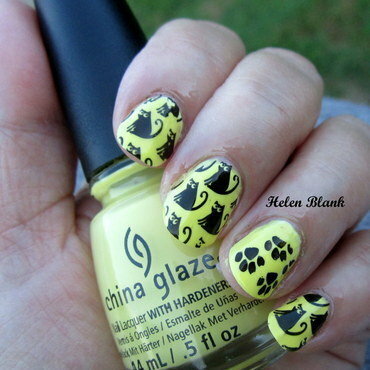 The paw prints were stamped with a Hehe stamping plate. 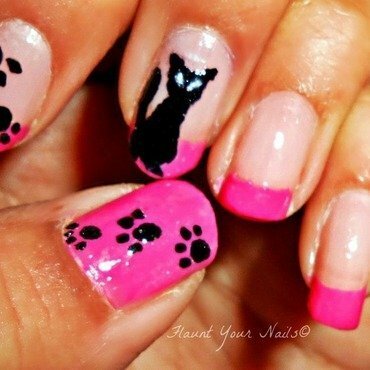 This mani uses two of my favorite things, kitties and Zoya polish. I used a Hehe Stamping Plate from Ali Express and stamped with random gold polish. I was drinking lemonade on a lazy and sunny Saturday afternoon. A black cat crossed my path and I was immediately inspired to do this mani. 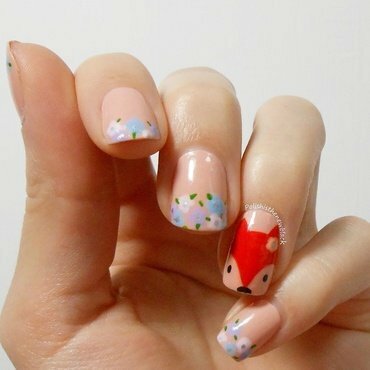 Foxy nail art inspired by Onenailtorulethemall. Really happy with how these turned out. The flowers are essie polish, the leaves and the fox are done with acrylic paint. Colour Alike B. a star!